Microsoft Chooses Zune's Ad Agency to Promote Zune Phone "Pink"
Advertising firm McCann Erickson has won a lucrative advertising contract with Microsoft, beating out CrispiBLAH BLAH BLAH the point is, people—Zune advertising people—are now talking on record about Microsoft's "Pink" project, and gearing up to promote it. The Office shift follows a pitch for a new Microsoft mobile offering won by McCann's T.A.G. unit, said sources. JWT, McCann and fellow roster shop Crispin, Porter + Bogusky competed for that assignment, for which the client used the code-name Pink. It's a nice confirmation of previous rumors that Microsoft was shopping the project around, and that's about the end of the new information. But a quick trip to the McCann T.A.G. site reveals a portfolio that contains three videos for the Zune, including two ads and a trade reel. Zune? Pink? Zunephone! Pinkphone! Pink Zune! 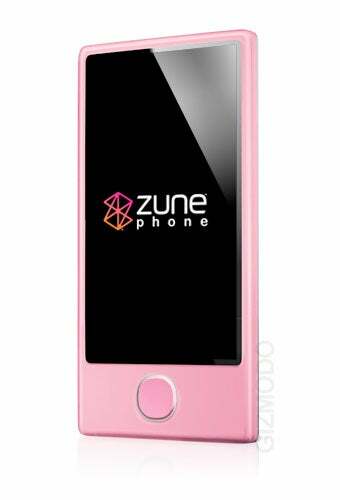 Pink Zune phone! And so on.